One of the most distinctive voices in the world of music is coming to the Royal Theatre, Castlebar this August. Gaynor Hopkins was born in South Wales where her father worked in a coal mine and her mother shared her love for music with her family of four girls and two boys. 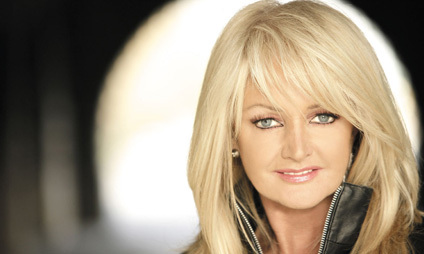 Having tried out the stage name of Sherene Davies in the early stages of her career, the talented youngster eventually decided to call herself Bonnie Tyler. "Faster Than the Speed of Night" sell over a million copies and debut at number one in the U.K., where the title track also became a hit. Bonnie then recorded "Holding Out For a Hero" for the blockbuster Footloose soundtrack.